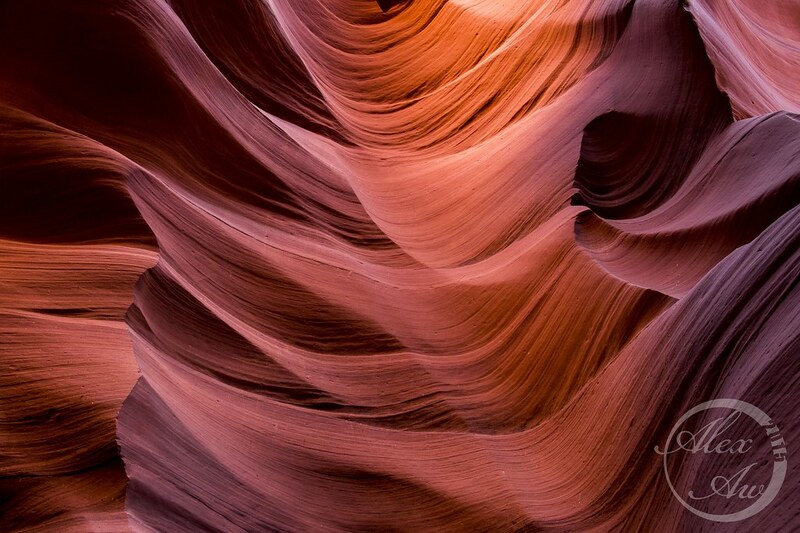 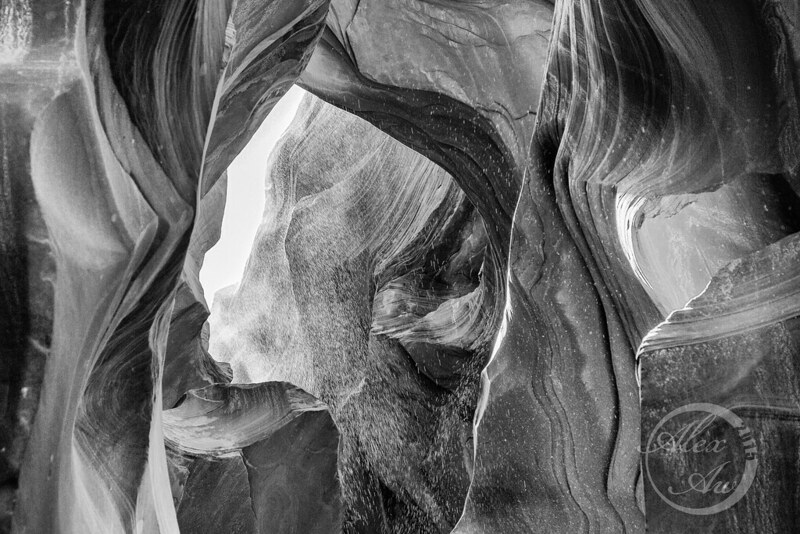 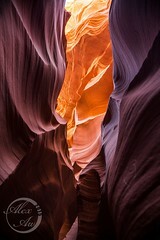 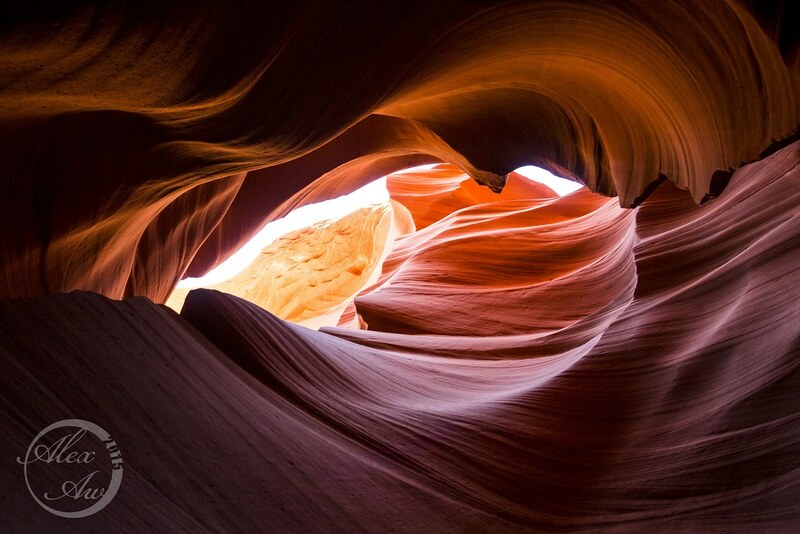 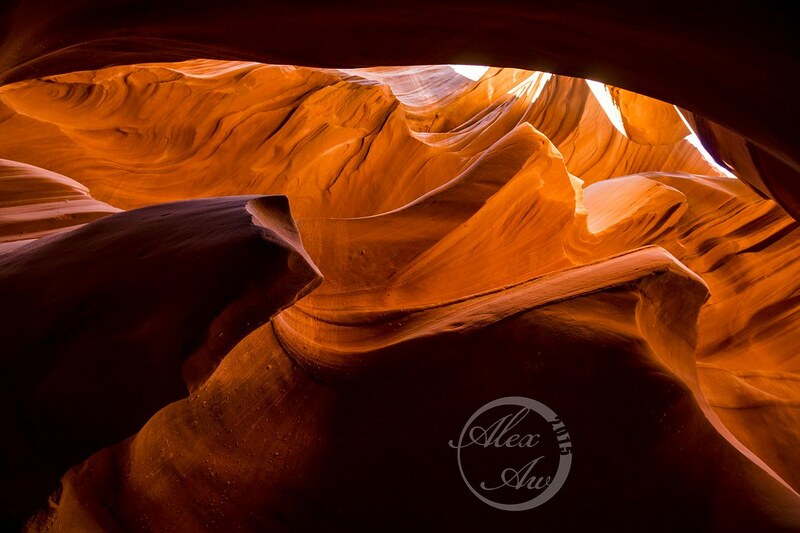 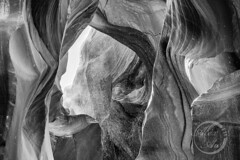 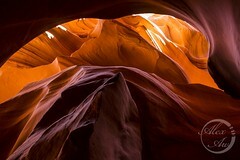 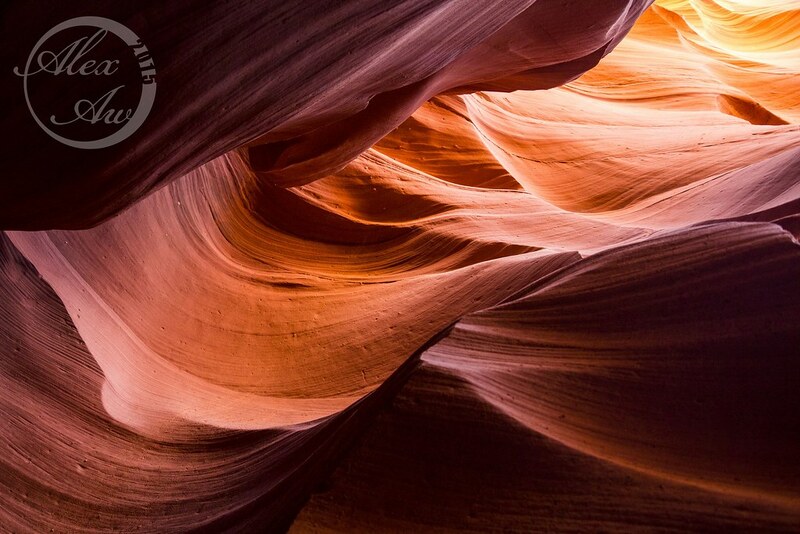 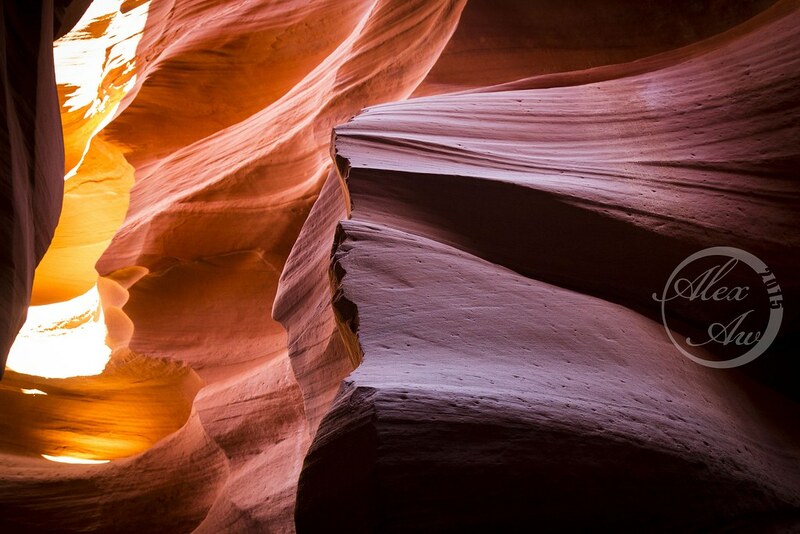 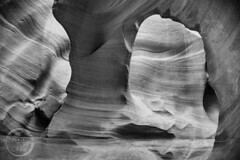 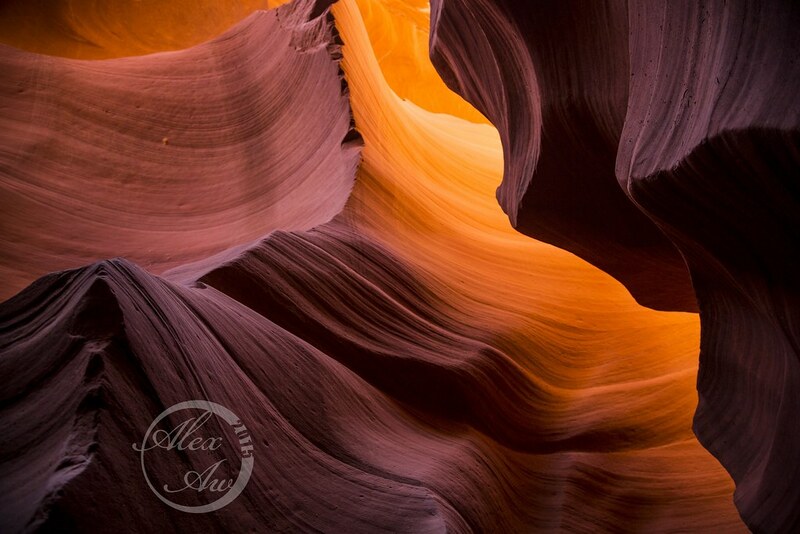 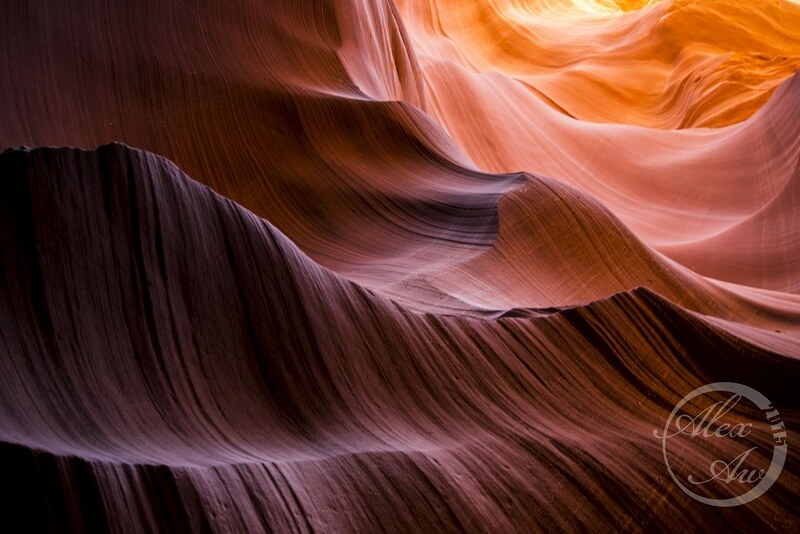 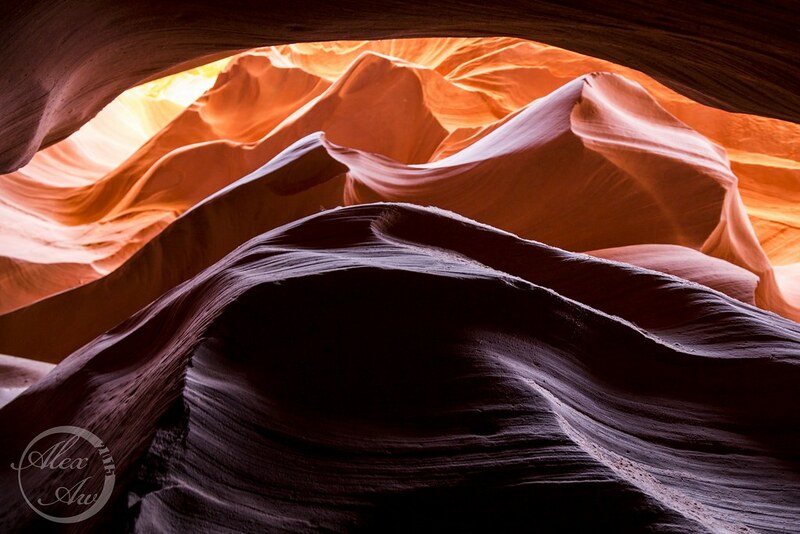 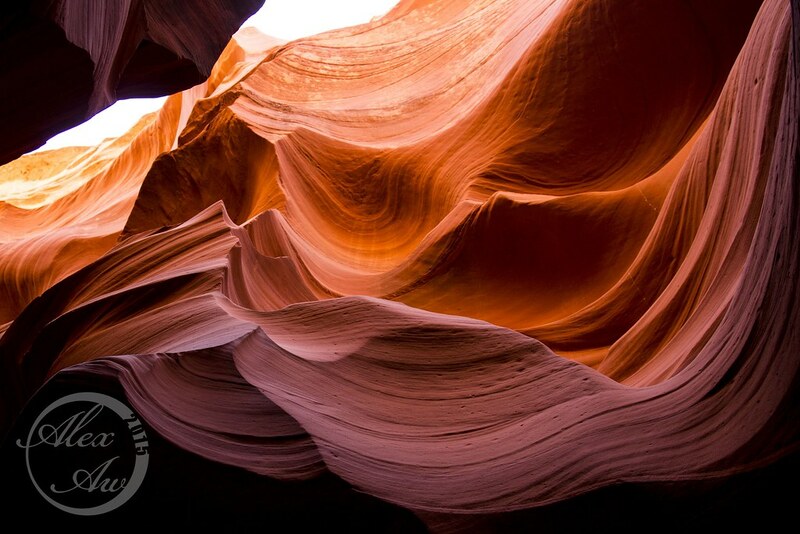 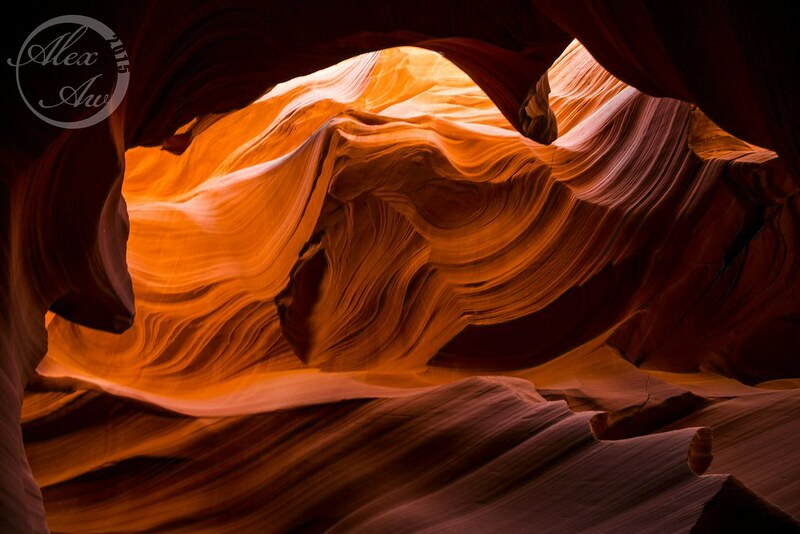 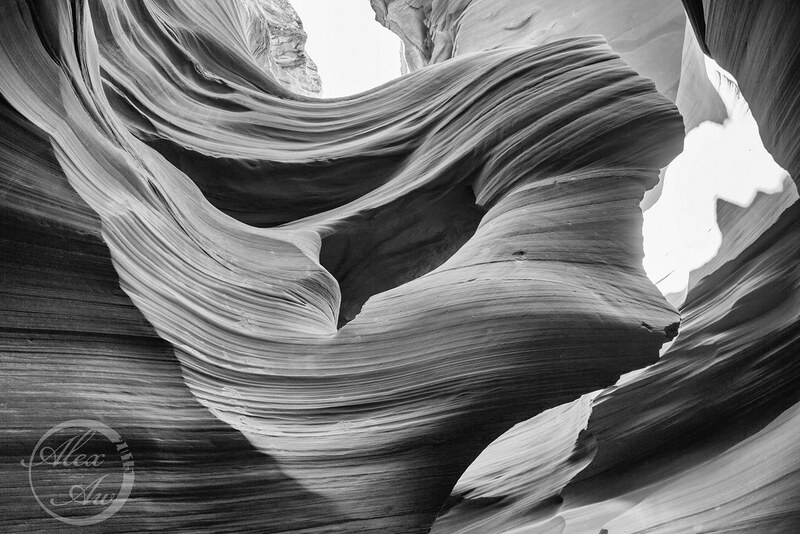 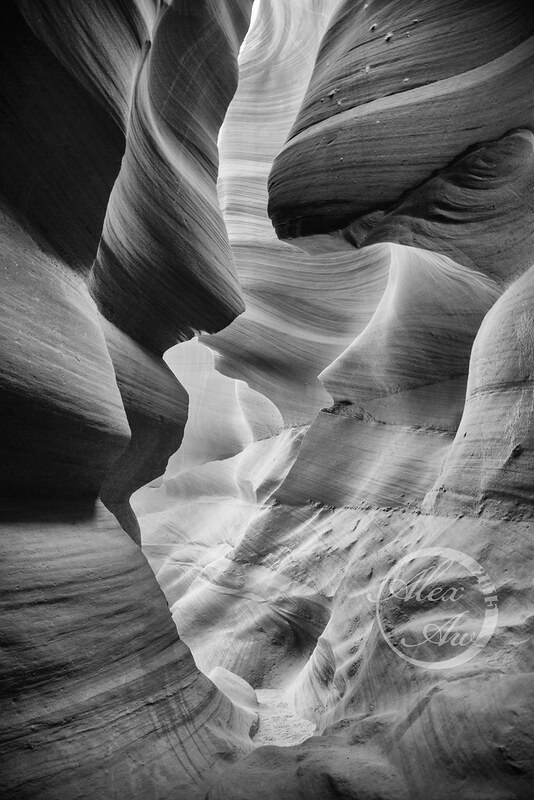 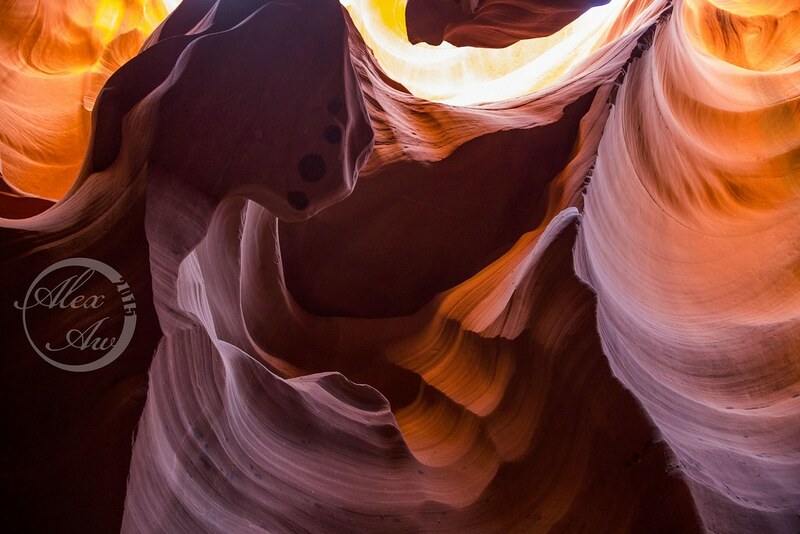 Leaving my kids and wife back at the hotel, I continued to visit Lower Antelope Canyon. Geographically their entrances are a couple miles apart. 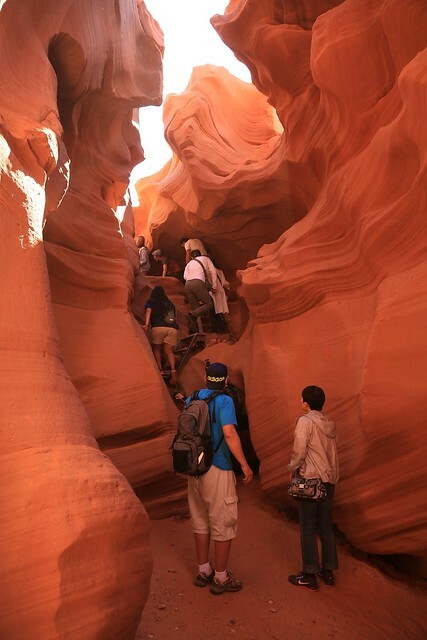 Aside from the different views, Lower Antelope requires climbing of stairs which can be steep. 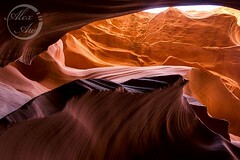 Some passages are pretty tight, allowing only single person to scrape by. 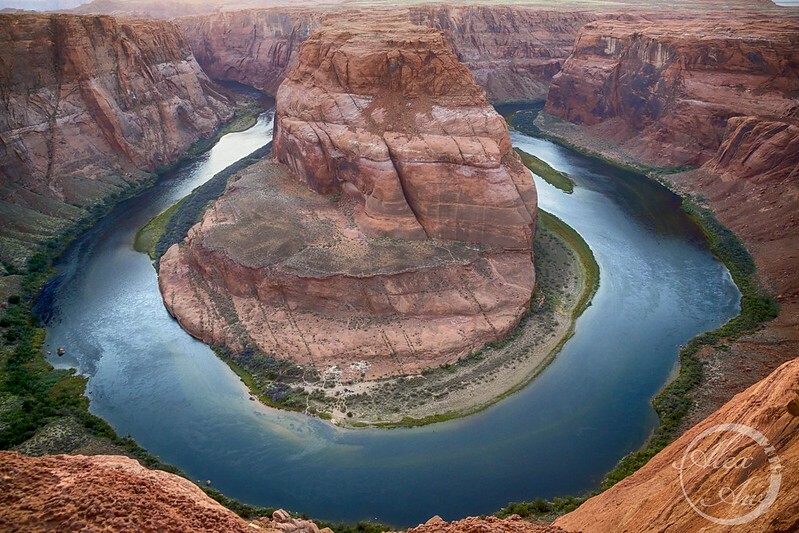 5-10 minutes drive from Page, the famous Horseshoe Bend is a must go place. 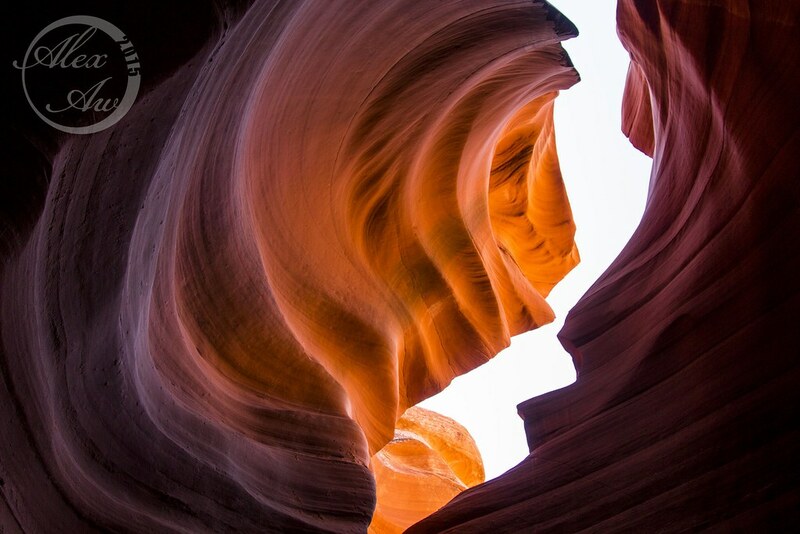 Walking from the parking lot can take 10-15 minutes. Be there early if you want to get a good spot for the sunset as it will be crowded with tourists and photographers. 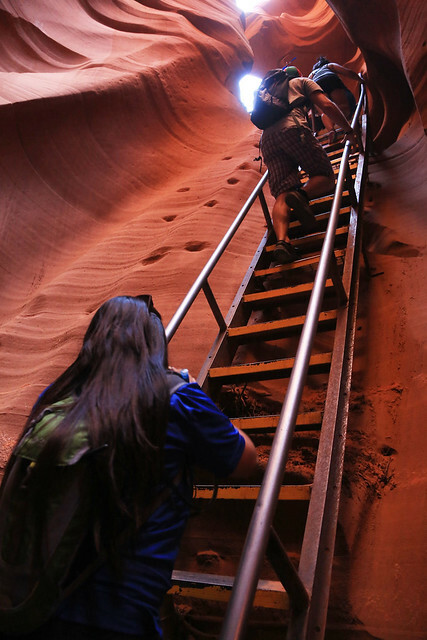 Capturing the scene was pretty challenging for someone like me with acrophobia. I crawled on my belly to the edge and snapped blindly. In addition to the scary height, there was frequent strong gust of wind and free sand munchies to delight you. 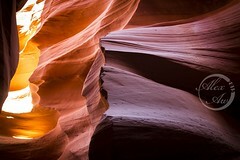 The sand is so irritating that even during dinner, I still had crunching sound on my steak! On a side note, I was curious about the dangerous flash flood that goes through the canyon. 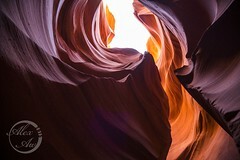 I looked up Youtube and found an amazing video footage of the 2013 flood.